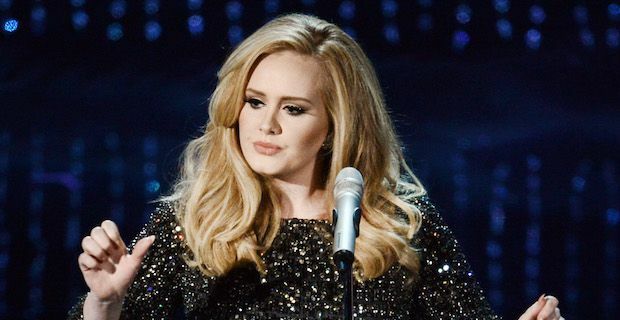 Billboard Magazine has reported that Grammy winning artist Adele is set to release a brand new album in November 2015. Fans have long been anticipating the star's return and it seems like the wait could finally be over. It will be Adele's third studio album, following on from the hugely successful 21 from 4 years ago and her debut album 19. She has worked in the studio with Max Martin, Tobias Jesso Jr. Danger Mouse and Ryan Tedder from One Republic among others hinting that there could be a very eclectic mix of music on the album which is to be called 25. It seems that she Adele is a bit of a perfectionist when it comes to her albums and was not completely happy upon finishing this upcoming one. A source told the Mirror last month "It was complete but she was worried it wouldn’t be as good as 21 and went back into the studio a few times." Ed Sheeran was recently asked about the album and he replied "I haven’t heard it, but everyone I know who’ve worked on it is just like 'Dude, that record!' Apparently it’s really good!" Bring on November is all we can say and if the new album is even half as good as 21 we are all in for a massive treat!